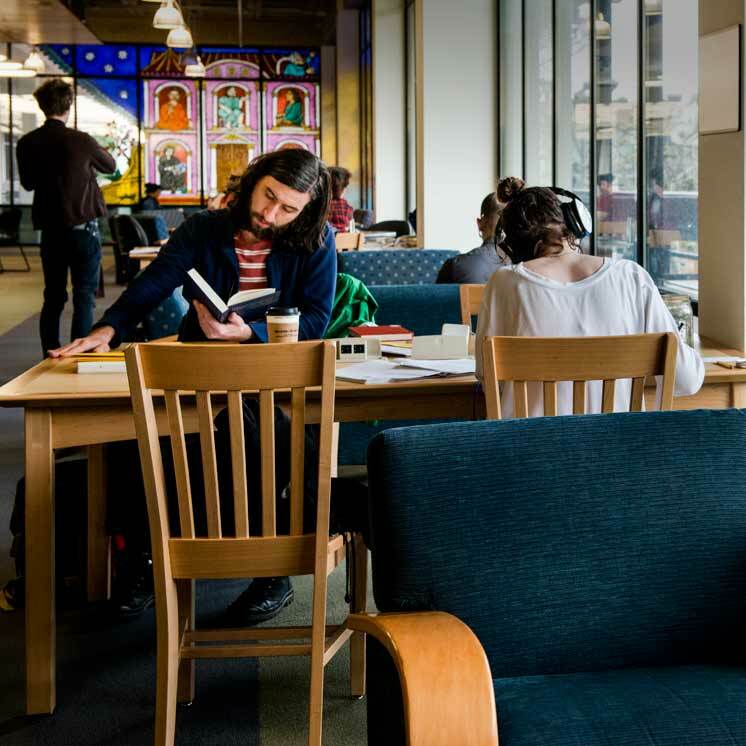 Interlibrary Loan is a service that gives current Evergreen students, faculty, and staff the ability to obtain materials that are not available in the Evergreen library collection or through Summit libraries. Books, copies of periodical articles, and other items needed for research may be borrowed from other libraries. Alumni and community borrowers are not eligible for this service, and should request materials through their public library. The user interface is web-based. Each user can logon using their my.evergreen.edu username and a password to access his or her account. Users can submit and review requests, change their profiles, renew items, and receive electronically delivered documents. Please search our catalog to ensure the item is not already owned by Evergreen or another Summit library before submitting a request to Interlibrary Loan. Login to your Interlibrary Loan account and follow the instructions. If you have any questions, please contact Miko Francis at 867-6499 or email ill@evergreen.edu, 8:30-5:00 Monday-Friday. Please remember the following types of materials may be difficult to obtain through ILL.
We don't pass on any fees or costs to our users. However a study done by The Association of Research Libraries showed that the average cost per ILL request (materials, postage, on-line time, labor, etc.) could often cost in excess of $20.00 per request. We want to be able to keep providing this service for free, so select the materials you request carefully. You may request up to 75 items per Quarter. The Washington State Institute of Public Policy (WSIPP) staff or any other Research Institute's staff may request more than 75 items, but the Institute will be billed to cover the expense. The time it takes to receive requested materials generally depends on the lending library. Please use this as a guideline when you are planning your research. If the material is needed by a specific deadline, please indicate this on the request form. ILL staff will try to meet your deadline. How are physical items delivered? Evergreen Campus Students must pick up you Interlibrary loan item at the Evergreen Library Circulation Desk. Tacoma Campus Students must pick up your Interlibrary loan item at the Tacoma Campus. Native Pathways Students, the ILL office will mail your Interlibrary loan item to your home address. All journal articles are delivered in PDF format. Also delivered as PDF files are: book chapters, theses (when available electronically), papers, and other documents. We will notify you by email as soon as a PDF is available for you to view or download through your Interlibrary Loan account. These documents are retained online for 30 days after which they will be deleted by the system. What happens if my item is overdue? Can I renew items? Borrowers are responsible for the timely return of all loaned materials to the Evergreen Library Circulation Desk. If loaned items are not returned on time, you will receive three overdue notices. After the 3rd (last) overdue notice is sent, you will be blocked from checking out items from the library or through ILL.
Renewals of checked out materials can be requested through your ILL account. This renews your loan for 7 days while the ILL office requests a new due date from the lending library. If the lender does not grant our renewal request, you must return the item as soon as possible. The ILL office will email you the information. You will be billed for lost and damaged ILL materials, at the same amount as we are billed by the lending library. Failure to pay for loss or damage will result in blocking your Library and ILL accounts until you clear your library record. Please contact the ILL Office to reactivate your ILL account. The Copyright Law of the United States (Title 17, United States Code) governs the making of photocopies or other reproductions of copyrighted material. Under certain conditions specified in the law, libraries and archives are authorized to furnish a photocopy or other reproduction. One of these specified conditions is that the photocopy or reproduction is not to be "used for any purpose other than private study, scholarship, or research." If a user makes a request for, or later uses, a photocopy or reproduction for purposes in excess of "fair use", that user may be liable for copyright infringement. This institution reserves the right to refuse to accept a copying order if, in its judgment, fulfillment of the order would involve violation of copyright law.